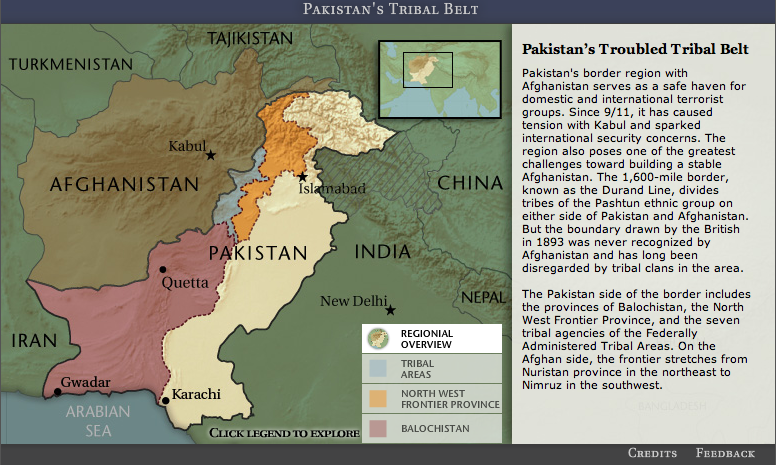 Pakistan’s remote Federally Administered Tribal Areas (the tribal lands) have been a training ground for insurgents and a focal point for terrorism fears, particularly since the 9/11 attacks. President Pervez Musharraf finds himself squeezed between U.S. demands to control militants in the tribal lands and opposition from his own army against fighting the region's predominant ethnic Pashtuns, who have strongly resisted Pakistani rule just as they fought British control during colonial times. Co-authored by Carin Zissis and Jayshree Bajoria.